Shameless has one of the largest varieties of drinks in the Redding area. With over 109 whiskeys, scotches, and bourbons, we promise you will be satisfied. 109 Whiskeys, Scotches and Bourbons in stock. Enough to get one whole Irish man buzzed. Given our selection of 109 whiskeys, scotches and Bourbons, we understand when even the most loyal beer and cocktail lovers find their hands in our trove of smoky whiskeys and 20-year single malts. Check out our Whiskey Clubs! The Whiskey Gold Club is a great way to get acquainted with your favorite whiskey's! Come check out our extensive list and choose which whiskey we can serve you next! Perks and prizes come to those who are in the club! Upon finishing, get your specialty whiskey trainer jersey, personalized with your name on the back- to match your name on our plaque at the end of the bar. Definitely grounds for bragging rights! Our 50/50 club helps bring out your inner Irish! 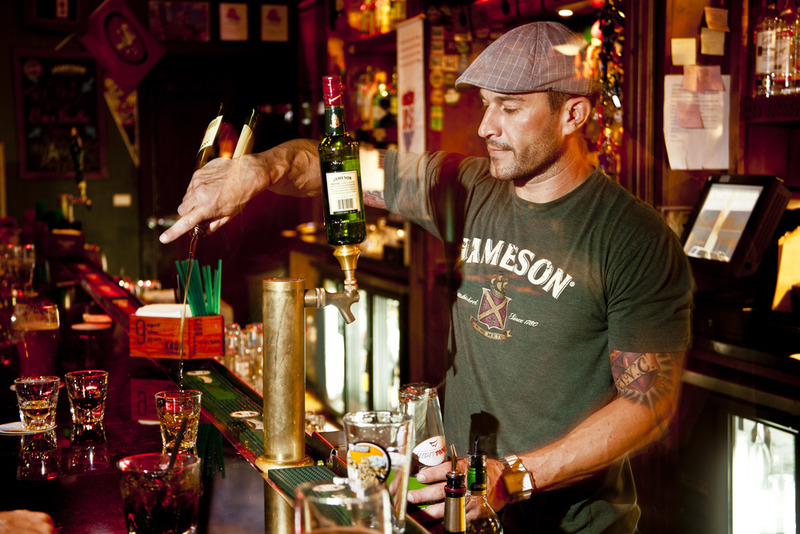 Enjoy an Irish drink (Irish whiskey or beer) for 50 days straight! Once again, you will receive a personalized jersey! Wear this jersey in on your visits and receive a complimentary Tullamore Dew and Domestic Draft with your day's order. If that’s not tempting enough, we even have Jameson and Tullamore Dew on tap. Speaking of on tap, enjoy our great selection of tap handles and 14 beers on draft to choose from. ★★★★ This place is quality! Great food, good beer on tap, and Jameson on tap. For Redding, it is definitely a highlight. They are also the only place in town that actually serves food til close. Prior to Shameless, if you wanted to get a beer and some grub after 10pm, you would have to go to Applebee’s which is just a travesty.